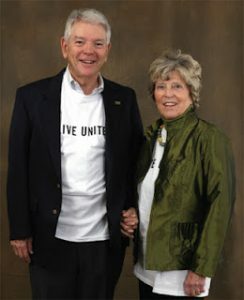 Bob and Marilyn Ridgley are co-founders of Classroom Law Project. As part of their legacy to Classroom Law Project, the State of Oregon, and its youth, they established this generous scholarship for Oregon high school students. receives $2,500 each year for four years for a total of $10,000. One student is selected each spring to receive the award. Find out more about eligibility requirements and the application process. Last year’s awardee was Phuocan Nguyen from Central Catholic High School in Portland. Read about previous year’s awardees.